We deliver engaging and exciting maths enrichment activities. We love sharing our joy that numbers and shapes can bring. We aim to get children to show interest and motivation in maths while building their confidence when working with numbers. We deliver engaging and exciting maths activities and we love sharing our joy that numbers and shapes can bring. Our activities get children to show interest and motivation in maths while building their confidence when working with numbers. Children see the mind-blowing wonder behind maths in creative activities which stimulates their natural desire to learn. A fun, maths enrichment club run in primary schools around the country. The sessions are typically run after school. Each session is 1 hour long and the sessions cover a vast range of maths topics. Spaghetti Maths is a perfect blend of innovative business systems, great branding and fascinating classes. 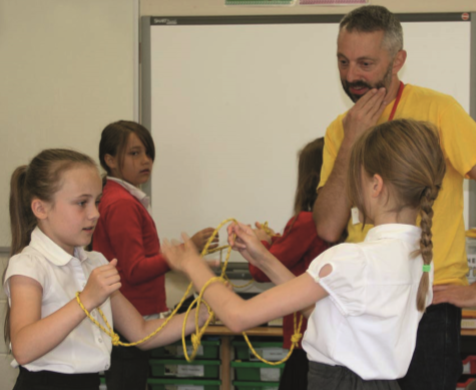 Spaghetti Maths bring hands on maths enrichment classes to primary age children. Run Your Own Successful Business with the potential to earn a signiﬁcant income. 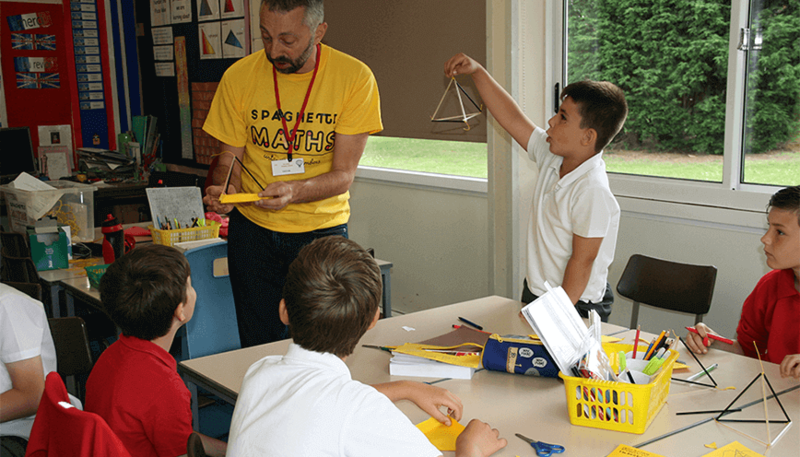 David Sharp, the owner of Spaghetti Maths is an ex maths teacher, a current successful business owner, and has an enormous passion for improving the mathematical numeracy of all children. The Spaghetti Maths Franchise offers excellent ﬁnancial reward in return for a highly competitive investment. As a Franchisee you will be involved in all aspects of the operation of the business. As a Franchisor, Spaghetti Maths will be acting in a support role during this process. A Spaghetti Maths Franchise is Easy to Operate. From day one and on an ongoing basis Spaghetti Maths will help you to develop your business, the strength and success of our business is a key factor in our growth. Growth and success of the business is essential as we only succeed when you succeed. We love numbers and know great activities to pass on our enthusiasm. We’re so positive about numbers your child will come out of our sessions full of everything they have learned, wanting to learn more. Our philosophy is simple. We believe that everyone can learn maths. Spaghetti Maths has created a structured programme of clubs that promotes a positive ‘can-do’ attitude. SO WHY INVEST IN A FRANCHISE – WHAT ARE THE ADVANTAGES? When you buy a franchise, you are not buying a business where you stand alone and face the many trials that come with business ownership. In joining the Spaghetti Maths family, you are buying into a tried and tested model. 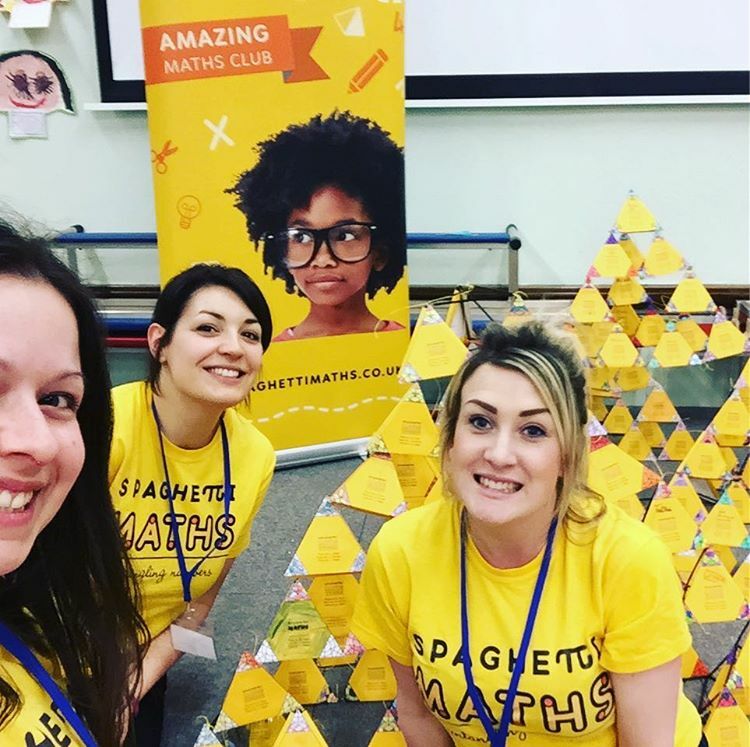 Spaghetti Maths are seeking people who share their passion for maths and who would like to be part of a team, intent on making the world a better place for children and are now looking to develop existing operations through new Strategic Franchise Partnerships with individuals who have a desire to succeed. As a Franchisee of Spaghetti Maths, you will be developing a valuable asset that you can later sell. No technical experience is necessary as we will provide you with full initial and ongoing training. You will also receive marketing materials through central and regional marketing so that you can hit the ground running. We can provide you with free information from Spaghetti Maths!